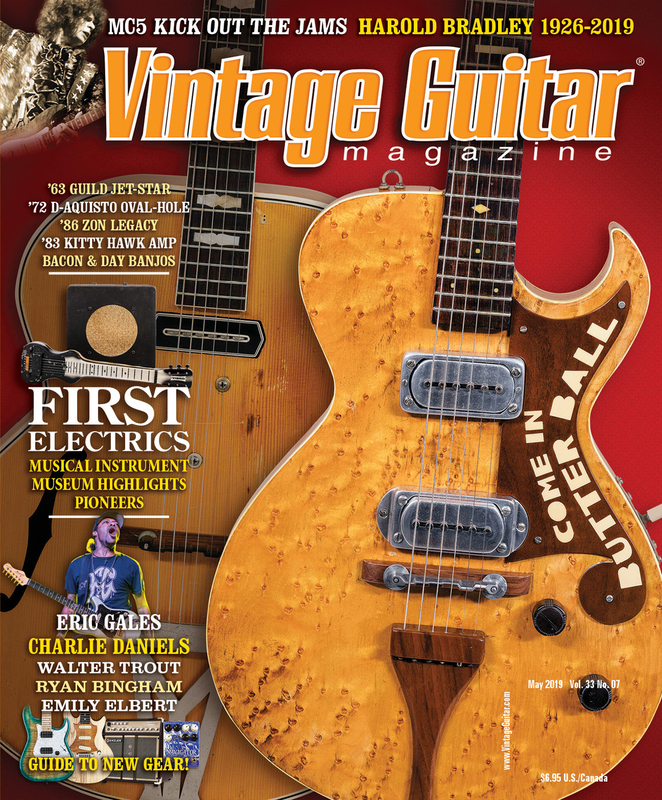 After building tribute guitars, Senn recently returned to his vision of the ultimate electric. 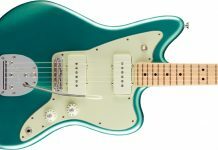 A touring guitarist with a preference for Guyatone, Silvertone, and Teisco instruments, he set out to create a guitar that combined elements from the more-esoteric side of things with refinements like up-to-date stability and tuning. Enter the Original Senn Model One. 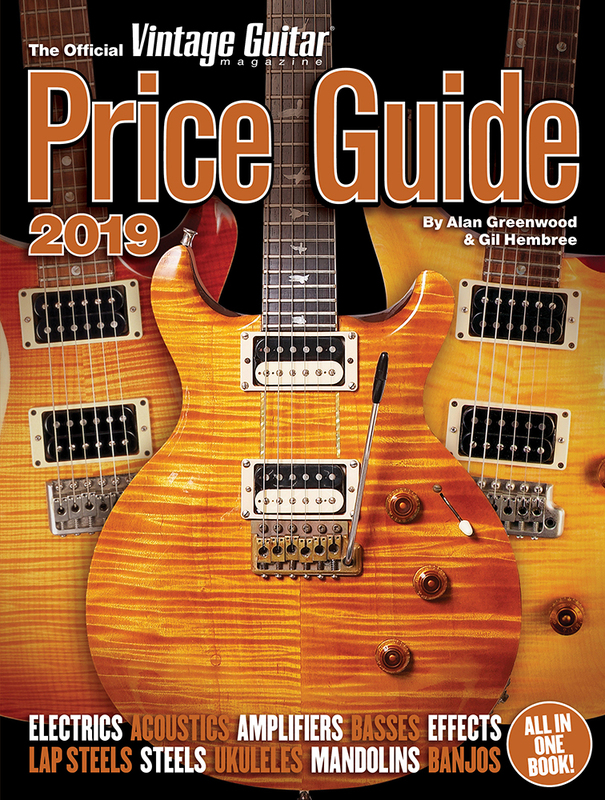 Built in Senn’s Nashville shop, the Model One has a poplar body with a maple neck and rosewood fretboard, along with a nut width of 1.65″, fretboard radius of 10″, and a full-C neck profile measuring .88″ at the first fret, .95″ at the 12th. 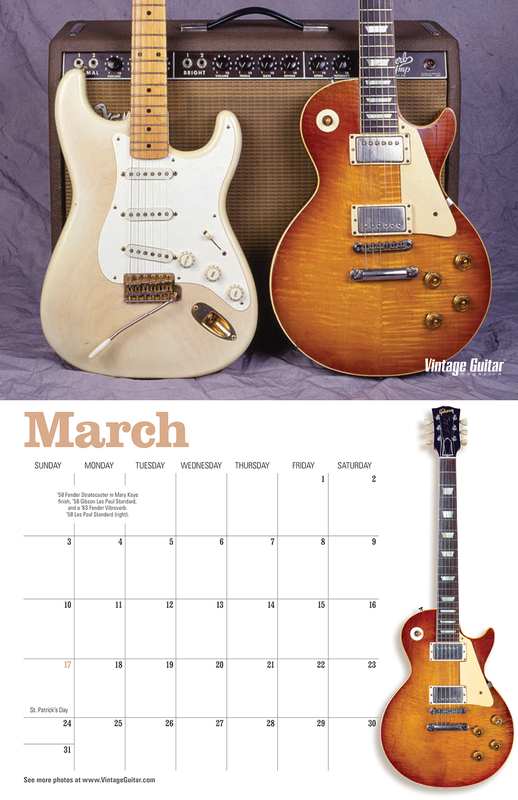 The 22 frets are medium-tall while the scale length is a Gibson-style 24.75″. The instrument is finished entirely in satin nitrocellulose lacquer and is available in several colors. 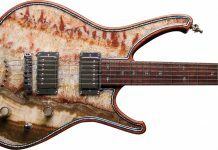 Its Lollar Custom Design pickups measure 8.3k at the bridge, 7.4k at the neck, and are mated to a three-way rotary switch and 500k CTS volume and tone pots. The Senn-designed bridge and saddles are made by CJ Tooling. Plugged into a ’65 Deluxe Reverb set clean, it sounded like no ordinary electric guitar. Rather, the Model One offered a tonal range best described as acoustic in nature, with deep, percussive lows and stringy-yet-smooth highs. 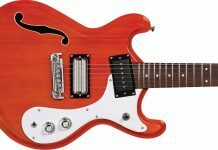 Its midrange, while never scooped, was smooth and full – never forceful or “honky.” The pickups use bar magnets, a shallow (but wide) coil, and a thin metal cover. 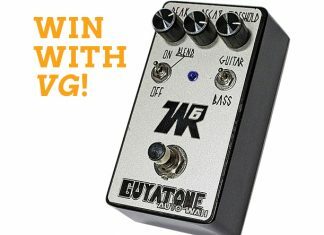 The neck pickup produces beautiful, clear, open jazz tones to snappy cleans that evoke soul/R&B double-stops up and down the fretboard. 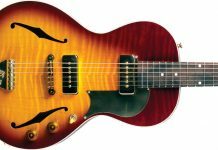 The bright, open-sounding rear pickup offered everything from wonderful Beatles-like strummed sounds to funky Jimmy Reed/Kay tones. Together they rendered a shimmery, slightly notched tone that worked well with fingerpicked and open-string runs. 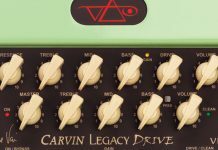 The guitar also mated well with a variety of drives, fuzzes, and time-based effects. 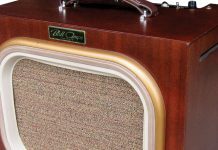 The Model One is perfect for any player who wants to add an old-school/hi-fi approach to their pallet. 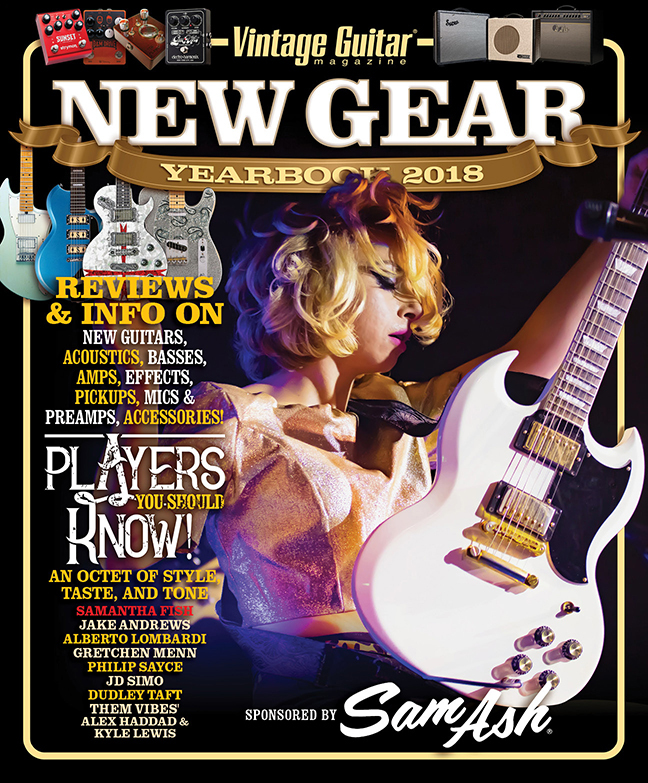 Its huge tonal range, sweet highs, smooth midrange, and percussive lows add an eminently useable range to a guitarist’s tool bag, while its clean lines, unique aesthetic, and beautiful tones will turn heads.